Hello everyone! Kindly excuse us for the long absence! Just realised that it had been 3 weeks since we last posted, only because we had been terribly busy trying to clear our work and run errands before we take a much deserved awaited break to Tokyo! The trip was planned to take place ahead of the hanami season as it was the only time when both of us could make it! Alas thanks literally to the freak weather, the cherry blossoms bloomed much earlier in Japan this year, allowing us to enjoy their beauty, amidst other spectacular floral displays along the way. The downside is, we had to cut back on several pastry joints which we had slated to visit. Nonetheless we had a really good time in Tokyo! This trip to Tokyo is all about pastries, ramen and depachikas! We absolutely love depachikas in Japan, so they are surely a “must go” whenever we are in Japan! J lamented that we didn’t get to try any ramen joints during our last trip so I made sure that we had enough ramen this time round for J to remember by! And 5 years ago during our first trip to Tokyo, which incidentally marks the commencement of this blog, I wasn’t much into fine pastry making then. But I do remember being much in awe with what I saw at the display windows of dessert boutiques and patisserie sales counters at depachikas. The level of artistry and presentation in trhe Japanese patisseries then was already quite impeccable and very impressive. Over the years as I grew to appreciate and get involved myself in the French art of pastry making, the desire to return to Tokyo fueled on. So after a long wait of more than 4 years, we are finally back! 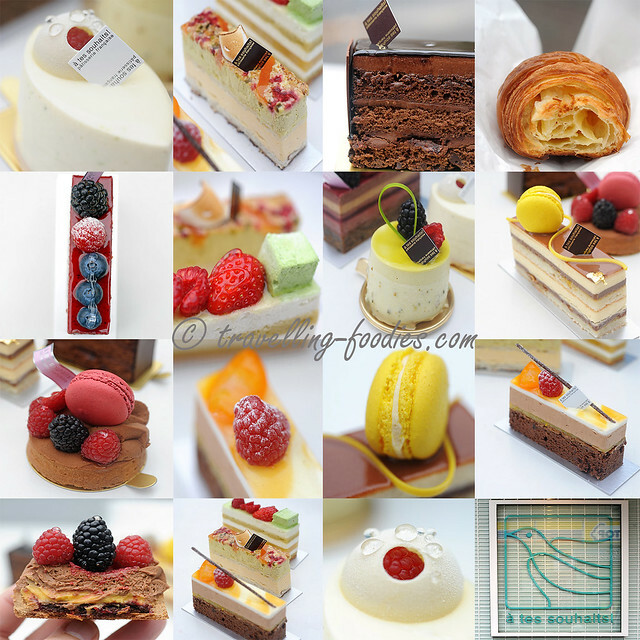 I will be writing and sharing about the various patisseries and ramen joints we’d visited this time round over the next couple of months or so but here’s a sneak preview of what we’d tried and sampled in Tokyo 2013!